Thinking of giving your Havanese a handout, or your French Bulldog a freebee? Well, according to the results of a recent study, you might want to reconsider. A team of researchers out of the University of Agricultural Sciences in Sweden has determined that dogs don’t dig free treats, preferring instead to earn their rewards by successfully completing a task. The researchers observed a set of one dozen paired Beagles in their study. The Beagles, who took turns as the experimental and control group dogs, were trained to use three of a set of six pieces of equipment, including a stack of plastic boxes, a special dog piano, and a paddle lever connected to a bell. 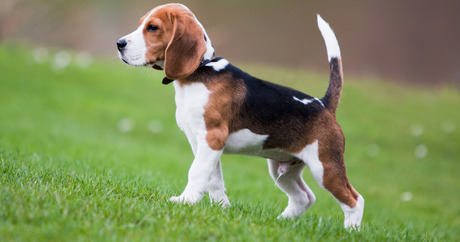 Each half of a Beagle pair was trained to use different equipment than his or her counterpart. Then, the dogs were brought to a performance arena outfitted with the equipment with which the Beagles were trained and a gate leading to three different rewards — a treat, another dog to play with, and a familiar person to pet them. Dogs filling the experimental role for the round were only allowed access to the waiting rewards after successfully performing the tasks they were trained to perform on the equipment. The control dogs, on the other hand, were allowed to retrieve a reward without having to manipulate any equipment. While observing the dogs’ behavior, researchers noted something quite interesting — the dogs who had to remember their training and operate the pieces of equipment seemed much more excited to return to the arena than the dogs who did nothing before claiming their reward. Researchers observed that the experimental group of dogs wagged their tails and grew visibly excited to enter the arena and to experience a “eureka moment,” according to the Daily Mail. “Animals may experience positive affective states in response to their own achievements,” the Swedish researchers write. “The experimental animals in our study were excited not only by the expectation of a reward, but also about realizing that they themselves could control their access to the reward,” the researchers conclude. The control group of dogs, however, actually required some coaxing from handlers to reenter the arena, Companion Animal Psychology reports. Researchers noticed that these dogs appeared less active in the arena and even showed displeasure by biting or chewing on the equipment. “These results support the idea that opportunities to solve problems, make decisions, and exercise cognitive skills are important to an animal’s emotional experiences and ultimately, its welfare,” the researchers say.